Let’s be honest here. 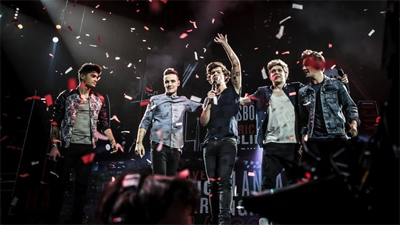 As a brand, the success of One Direction has been phenomenal. In One Direction: This is Us, super producer Simon Cowell boasts about how it took him all of ten minutes to come up with the band, jamming five also-ran teenage X-Factor contestants into an also-ran X-Factor boy band that became a global pop culture juggernaut. Morgan Spurlock’s One Direction: This is Us is really nothing but a propaganda piece, a giant feature-length 3D pat on the back where a manufactured pop sensation are compared – not once, but twice – to The Beatles. And there’s really nothing wrong with that. After all, this was never going to be an insightful piece of cinematic journalism, prying behind closed doors at the forces propelling One Direction to fame and the careful and painstaking maintenance and protection of the brand name. Anybody expecting anything but a celebratory ninety-odd minutes of mutual appreciation was clearly expecting something quite different from what was promised. As piece of pop culture brand management, One Direction: This is Us is actually quite well-constructed. Spurlock knows how to frame an interesting documentary, and has always been theatrical and stylish. Even the talking head shots in One Direction: This is Us are tastefully shot, against a dark highway at night, Simon Cowell’s sterile studio apartment or in a band member’s makeshift art studio. There are moments in One Direction: This is Us when it looks like some humanity might accidentally shine through, but the film is quick to stamp that out with gushing about the fans and patronising discussions about how unique and individual the band members are. I’ll freely concede that I feel a bit conflicted when it comes to the X-Men comic books in the nineties. On the one hand, they were prone to nineties excesses, seemingly constantly in the midst of a sales-boasting crossover event, increasingly toyetic with steretypical portrayals and male and female anatomy. Also, to be entirely honest, they were never as exciting or creative as they had been when Claremont was directing the line – even his more esoteric efforts developed key themes and harboured a hint more ambition and sophistication than most of what followed. 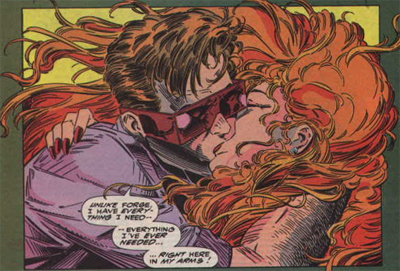 However, I don’t want to give the impression I’m not fond of the X-Men in the nineties. That era, through the toys and the cartoon show, introduced me to the team. And, to be entirely fair, the books were very far ahead of the worst of what Marvel was publishing (as I’m currently reading The Crossing, I can vouch for that). I also have a certain amount of sympathy for a bunch of writers trying to find a direction for an entire line of books after a monumental and defining run by Chris Claremont. In many ways, Fatal Attractions reads like an attempt to draw a line in the sand under Claremont’s contributions to the franchise, and to boldly push forward with a modern take on the merry mutants. 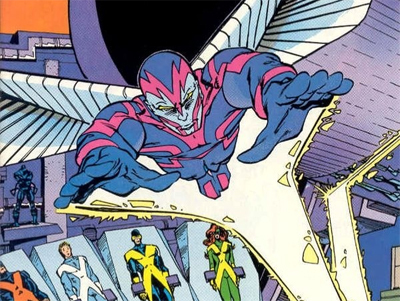 In a way X-Cutioner’s Song marks a fairly significant turning point in the history of the X-Men franchise. The X-Men books were in a state of turmoil. They had lost their long-term writer Chris Claremont only recently, and Jim Lee had departed to work on other projects. The central theme of the books – exploring prejudice and racism – looked to be losing steam slightly as South Africa’s apartheid regime collapsed and the country developed into a truly democratic state. It seemed like the books were struggling to cope with all these changes occurring so rapidly, and X-Cutioner’s Song reads like an attempt to assert control on the franchise – as if to assure readers that everything was okay and it was business as usual. I’ll freely concede that I’m generally wary of Louise Simonson’s X-Factor. Her contributions to the Mutant Massacre were the weakest part of the crossover, and she didn’t exactly make Inferno an exceptionally readable event. While I can understand why some fans are fond of her writing, I’ve found the X-Factor I’ve read to generally be an awkward and heavy-handed attempt to emulate Chris Claremont’s patented soap opera stylings. However, I will concede when I’m impressed, and Simonson has more than impressed me here. While I respect Claremont’s Uncanny X-Men tie-in to Fall of the Mutants more than I enjoy it, Simonson’s X-Factor feels like a much stronger offering, feeling like the book is really firing on all cylinders. Fall of the Mutants allows Simonson to bring all manner of plotlines to a head, tying together years of build-up into a fascinating, exciting and compelling pay-off. I have no qualms in suggesting that Simonson’s X-Factor is the highlight of this gigantic collection. In celebration of the release of The Avengers, this weekend we’re taking a look at the massive 1989-90 crossover “Acts of Vengeance”, which pitted various villains against some unlikely heroes. I’ll be looking at some of the most fun match-ups. This arc is collected in the companion omnibus. 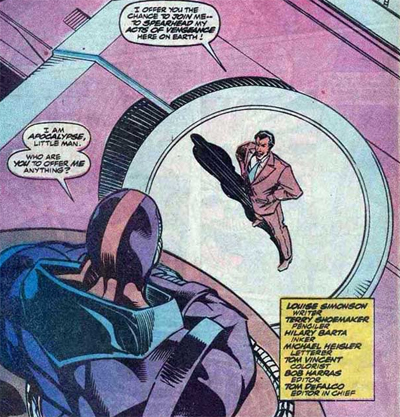 It is very clear, reading some of the issues connected to John Byrne’s Acts of Vengeance, that some writers weren’t entirely on board with the crossover. After all, it was a giant line-wide event that existed purely to pit heroes against villains who traditionally faced other heroes – there was no more rhyme or reason than that. In many cases, that meant derailing whatever was happening in the book at the time, or even reversing or setting back characterisation. 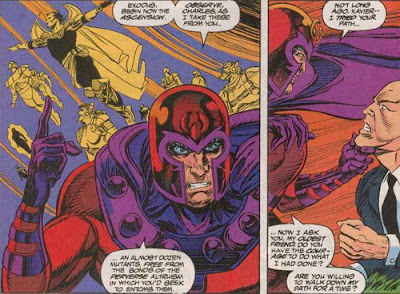 Magneto, in particular, found himself reverted back to little more than a villain. While a lot of books were implicitly critical of the event, Louise Simonson’s X-Factor seems particularly bothered by the intrusion, to the point that the only real tie-in to Acts of Vengeance sees the big villain Apocalypse effectively booting Loki out of his book.